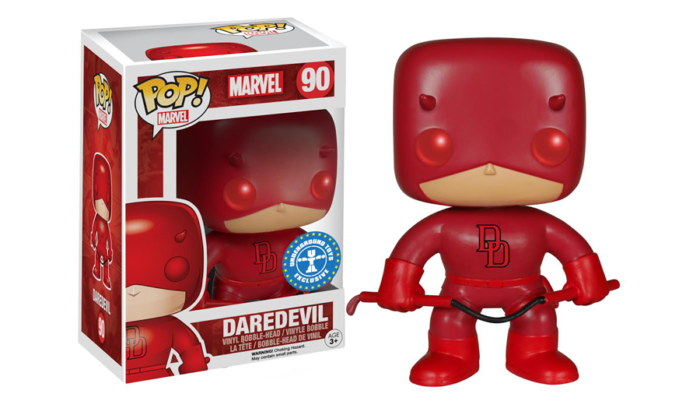 We’re just about ready to start counting down the days to the Daredevil Netflix series which is now just over thirty days away. I think this site needs a countdown clock, but the way. Will get right on that! However, before getting to that, I just wanted to make sure that none of you had missed the news that Daredevil will finally get his own POP! vinyl figure. Times two. 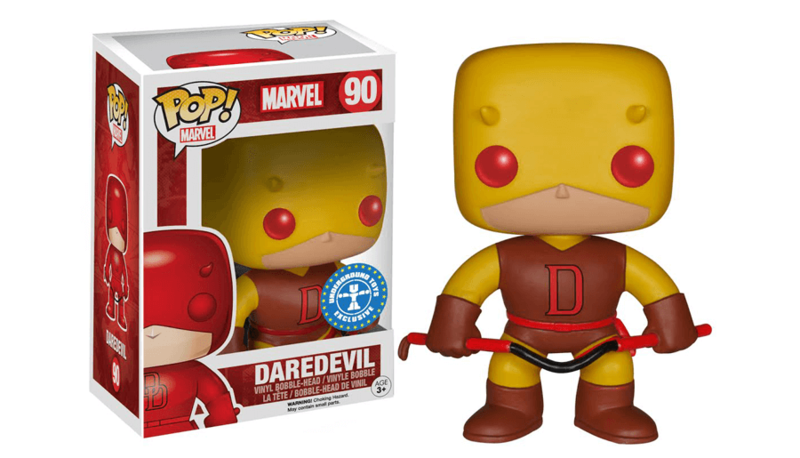 Both the red and yellow versions are available for pre-order right now through Forbidden Planet International. They can be ordered from pretty much anywhere in the world, but it also appears that they will be available in stores in the U.S. later on. I’ve already pre-ordered mine right from the site. The red one is available here, and the yellow one here. They may not be to everyone’s taste, but I quite like the POP! line myself and have seriously considered buying a couple of Despicable Me minions for the office. They’re just so awesome. My only problem is I’m not sure which one I’d want. I actually like the yellow one better, but it’s hard to say no to the more iconic red.